Flip a coin. If heads, Freddy heals 50 hp. 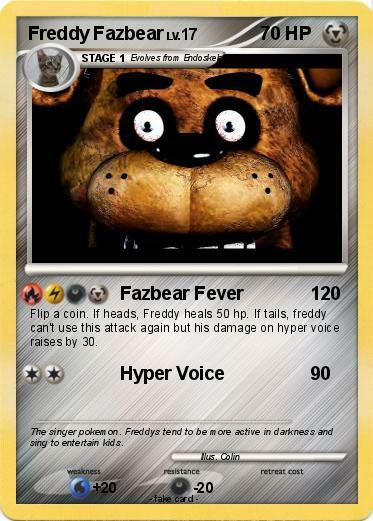 If tails, freddy can't use this attack again but his damage on hyper voice raises by 30. Comments : The singer pokemon. Freddys tend to be more active in darkness and sing to entertain kids.